Our goal is to make your office move as stress-free as possible on you and your employees. Our professional drivers, crews, and customer care teams will be with you every step of the way, as we strive to exceed your deservedly high standards. Mordue Moving & Storage provides your company with a cost-effective, one-stop moving solution carefully designed to ensure a quick, seamless, and hassle-free moving experience. 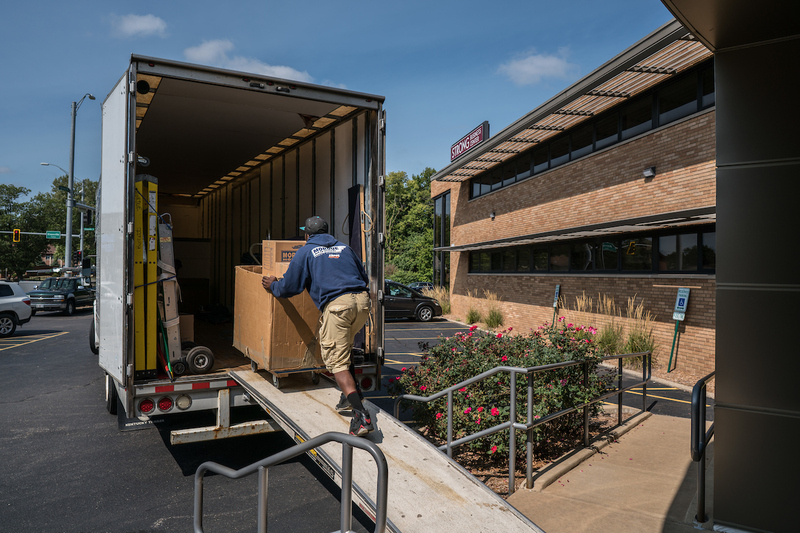 To achieve top-notch customer satisfaction, Mordue has assembled a team of trained and certified personnel specializing in office and industrial relocations. Our experience and knowledge means your move will be performed quickly, with special attention paid to sensitive equipment. Complete a comprehensive survey of your facility; prepare an inventory of all furniture and equipment to be moved and services to be provided. Coordinate all the details of coding, marking and furniture placement so that color codes and numerical sequences are translated into an efficient work flow. Provide you with a detailed schedule/timeline demonstrating our tactical responsibilities to ensure the most efficient, well orchestrated move possible. Work within your schedule to eliminate downtime and minimize the impact on operations. You can trust Mordue Moving & Storage to be your office mover in Peoria, Bloomington, Normal and beyond throughout Illinois. 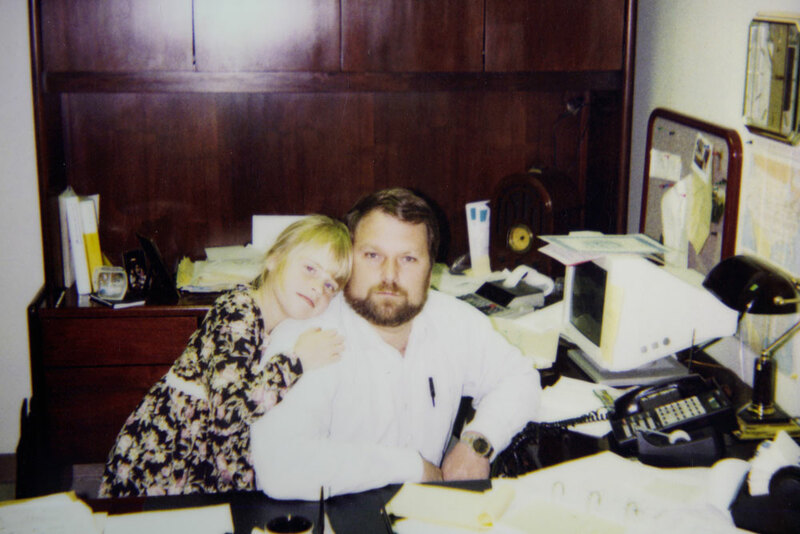 Russ with his favorite office assistant, 1993.